KHD Valves Automation Pvt Ltd is a High Quality Globe Valves Manufacturer in Mumbai, Maharashtra, India. We are a leading manufacturer of Globe Valves in Mumbai and nearby areas. Our Globe Valves are manufactured according to International ASTM ANSI Standards, ASTM API Standards, ASTM DIN Standards in India. Mail us for Easy and Quick Quotes at Factory Prices. A globe valve, different from other Valves, is a type of Valves used for regulating flow in a pipeline, consisting of a movable disk-type element and a stationary ring seat in a generally spherical body. A Globe Valves is a linear motion Valves and are primarily designed to stop, start and regulate flow. The disk of a Globe Valves can be totally removed from the flow path or it can completely close the flow path. Characteristics: OS &;Y Construction, Bolted Bonnet, Full Port Or Reduced Bore. 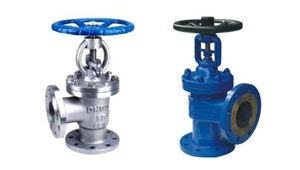 Conventional Globe Valves may be used for isolation and throttling services. Although these Valves exhibit slightly higher pressure drops than straight=through Valves (e.g., gate, plug, ball, etc. ), they may be used where the pressure drop through the Valves is not a controlling factor. [Because the entire system pressure exerted on the disc is transferred to the Valves stem, the practical size limit for these Valves is NPS 12 (DN 300). Globe Valves larger than NPS 12 (DN 300) are an exception rather than the rule. Larger Valves would require that gigantic forces be exerted on the stem to open or close the Valves under pressure. Globe Valves in sizes up to NPS 48 (DN 1200) have been manufactured and used. Permanent air tightness against fibre and gases Resilient closure. KHD Valves Automation Pvt Ltd are suppliers, dealers, exporters and manufacturers of Globe Valves in India. Our high-grade range of Globe Valves are perfectly . These are designed and developed in accordance with the international quality standards. 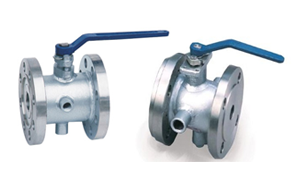 Globe Valves that are precisely engineered using the prime quality raw material. We offer customized Globe Valves as per the requirements of the clients. Globe Valves are precisely designed to control flow. The range of flow control, pressure drop, and duty must be considered in the design of the Valves to avert premature failure and to assure satisfactory service. Valves subjected to high-differential pressure-throttling service require specially designed Valves trim. Generally the maximum differential pressure across the Valves disc should not exceed 20 percent of the maximum upstream pressure or 200 psi (1380 kPa), whichever is less. Valves with special trim may be designed for applications exceeding these differential pressure limits. KHD Valves Automation Pvt Ltd is the best in business and world Leading dealers of Globe Valves. Choose KHD Valves Automation Pvt Ltd for optimum quality Valves that are made with high grade steel which is globally approved with Best Service in the business. If you would like additional information, please Contact Us directly so that we may provide you with detailed specifications. We manufacture Valves from genuine guaranteed raw material with material test certificate, hydraulic test certificates, Mill TC 3.1.b available with all supply.